There’s a lot of love out there for Charlotte and Emily Bronte and for good reason. I’ve read most of their books and they’re consistently brilliant. I’m not here to discuss the two best known Brontes. When I was at university, I first read ‘The Tenant of Wildfell Hall’ by Anne Bronte and it soon became one of my favourite classics. I hope by the end of this post that I can convince you to pick up a copy! The plot – A mysterious widow, Helen Graham, arrives at the rundown Wildfell Hall and attracts the attention of Gilbert Markham and the whole of their small community. This is not just another classic about a young girl who is swept away by a sulking scoundrel (although there are plenty in the book if you like that sort of thing). The narrator – I loved the fact that this was from Gilbert’s point of view because you got to unravel the mystery of Mrs. Graham along with him! He’s a very endearing but flawed character quite different from the aforementioned rogues. The format – The narrative unfolds as a sequence of letters and diary entries written by Gilbert and Helen, enabling the reader to piece the events together from the different character’s viewpoints. Helen and Feminism – Obviously there wasn’t a lot of room to be a feminist at the time but Helen definitely tries! She encourages her young friend Ester not to marry for money and herself is determined to marry for love. The setting – The Brontes lived in the beautiful Yorkshire village of Haworth (where you can still visit their Parsonage Home!) This book strongly evokes the wild and gorgeous landscape of the Yorkshire Moors. ‘The Tenant of Wildfell Hall’ is a fabulous classic and Anne Bronte deserves to be as well-known as her sisters. I'm so pleased to take part in the blog tour for this fantastic book! 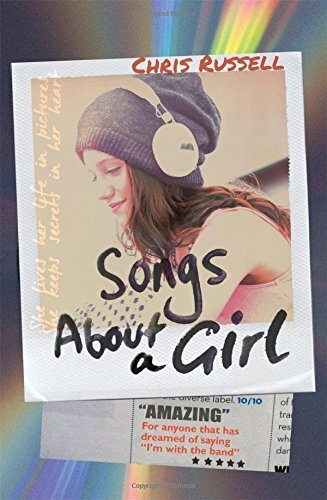 I've never read a YA memoir before and this deals with issues that deserve so much more coverage. The main thing I really liked was how candid this book was. It felt like Lucy Sutcliffe was being really open about her feelings and the events of her life. For that reason, I think this book will reach a lot of people going through uncertainty or difficulties related to their sexuality. I especially loved getting the female perspective, as a lot of YA seems to focus on boys' experiences in this area. The development of Lucy and Kaelyn's relationship was my favourite part of this book. Their story was really sweet and optimistic. At the point that they met, this book well and truly sucked me in and it only took me a day to read. 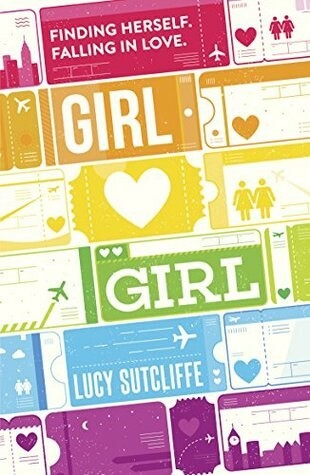 Lucy Sutcliffe's conversational writing style suited the plot and subject matter really well and I thought she wrote with a really strong voice. That being said, there were points that the book felt a little superficial and I didn't fully engage with it. I wanted a little more depth and introspection at times. This a light, fun read just in time for Summer! It delves into subjects of identity and relationships that I'd really like to see more of in other books. Heartbreak, romance, fame and pop music - for anyone who's ever dreamed of saying 'I'm with the band'. I received this book for free from Netgalley after hearing really great things about it. This book came along exactly at the right time as it's light, romantic and absolutely perfect as a summer book. It only took me a day to read because I got completely hooked! As a teenager (and sometimes now) I was a massive fan of boy bands and I loved the idea of a behind the scenes. This story was the ultimate in wish fulfilment, with Charlie stumbling into the world of 'Fire and Lights'. The characters in this were fantastic! There were plenty of likeable boy band members to fall in love with and I found Charlie really easy to relate to. I felt that Charlie's best friend could have been developed further than her interest in Fire and Lights. The love story in this was really compelling (I must not be completely over YA romance) and I enjoyed trying to work out who Charlie was going to choose. Another really interesting aspect of this book was the use of technology in positive ways (to promote the band and Charlie's photographs of them) but also how technology can be used in a cruel, damaging way. I'd like to see much more of this in YA as it unfortunately reflects reality! Lyrics were woven into the narrative and I liked the plot line related to them. I also just discovered that these are real songs by the band the Lightyears that Chris Russell is a member of! How amazing is that? If you liked the sound of this, now try Love Song by Sophia Bennett. I love books, movies, games and basically everything to do with pirates so I was really excited to get this in my Fairy Loot Crate! The premise of a crew seeking to undo a curse was great (if a little familiar from 'The Pirates of the Carribean'.) What made this different was that the curse prevented sufferers from expressing their love. Plenty of romantic tension of course ensues... This was a little predictable from the moment the handsome young love interest joined the crew but I really enjoyed it! Another thing I loved was the characters. I enjoyed unravelling their back stories and watching relationships developing between them. I hope that in the sequels there will be chance to delve into the strengths of the different members of the crew. The fantasy aspects of this were also really strong, with curses, faeries and sorceresses of the good and evil variety. The world building in this book was great and I think there's lots of potential for future development. This was an action-filled, compelling book and I'm already looking forward to the sequel! Unnatural Souls by Linda Foster - sneak preview! 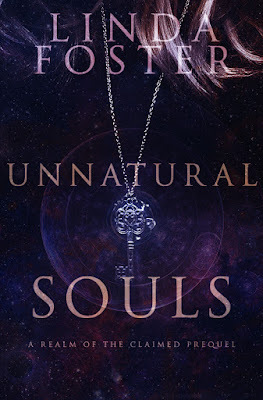 I'll be reviewing the novella 'Unnatural Souls' by Linda Foster on my blog in August but for now here's a plot summary and the beautiful cover to whet your appetite! It's been almost a year since the night of the accident that should have killed Grace. Nearly a year since her brother, Ash, sold his soul to save her. She survived, but that wasn’t the end of their story. In the months since, Grace’s life has turned upside down. She can move objects with her mind, teleport in a blink of an eye, see dead people … and that's just the tip of the crazy train. This is the second of my StoryTime blog tour posts and I'm so happy to have taken part! 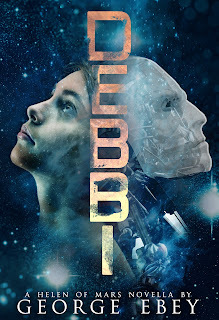 DEBBI is another fantastic novella that makes me desperate for the upcoming novel 'Helen of Mars'! 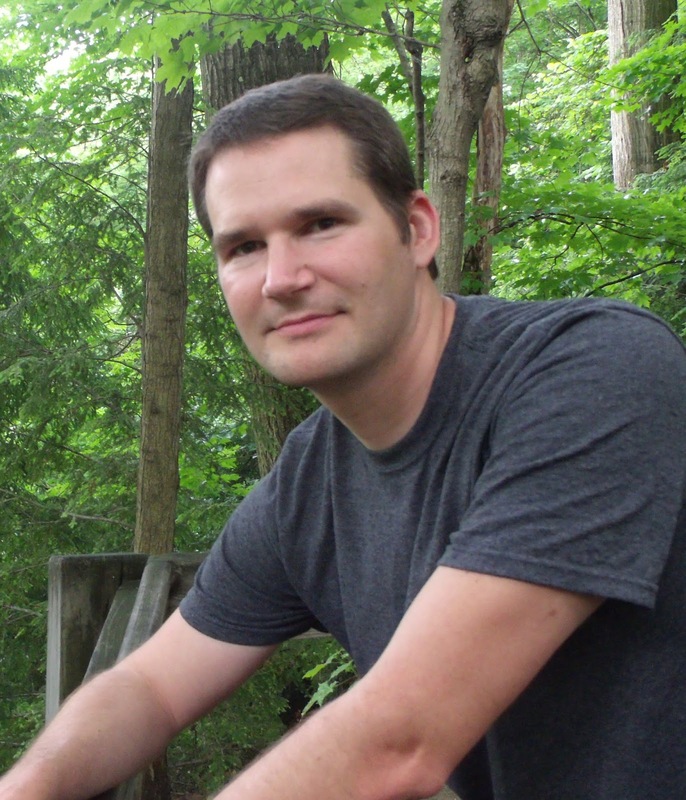 Helen's father has signed up to send a robotic rover to Mars, risking their family's wealth and prospects. Helen enters a junior gaming competition for the chance to win a one year lease on a Mars rover, which would save her family from risking everything. She enters her newest robot, a rover called DEBBI into the simulated battle competition. I knew this was going to be my kind of book and I'm so excited to read more about this world! Tech is not my strong suit but I found the explanations of the robot technology and the competition accessible and fascinating. The concept of mining on Mars interested me because it feels like something our oversized corporations would want to do. I'm really interested in the history of the 1849 gold rush to California and I love the idea of a sci-fi version of this! The novella alluded to lawlessness and people using their rovers to steal from others, which is a potentially exciting twist. My only issue with this is that with the humans steering the rovers from Earth, will this distance readers of 'Helen of Mars' from the action? The robot battling competition was really exciting and I loved the raised stakes of what Helen's family had to lose if she lost the competition. Within the robot battles, there was a friendship dynamic between Helen and her teammate that I really liked. My favourite parts of the battle were those from the robot's point of view, as this felt like quite a unique perspective to explore. I really liked the premise and action of this novella and will definitely look out for Helen of Mars! 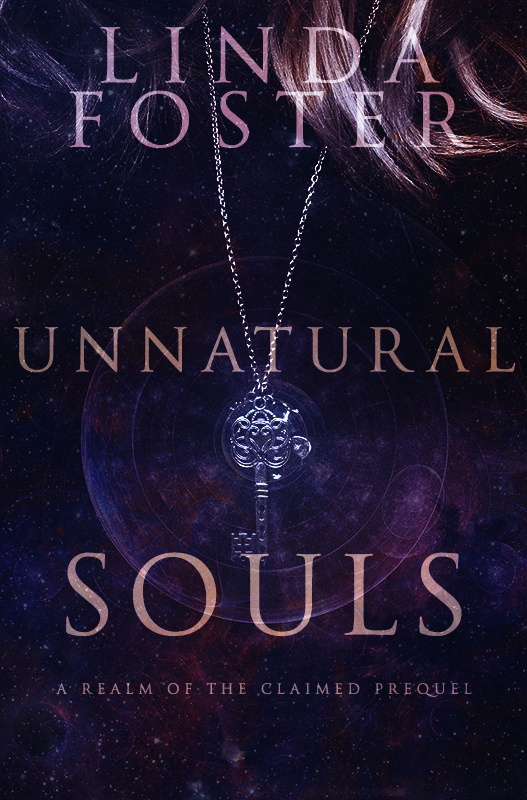 Check out my blog tomorrow for a cover reveal and teaser for Unnatural Soul by Linda Foster. It's so great to join the Storytime blog tour and celebrate this wonderful novella! As soon as I heard 'YA LGBTQ fantasy with unicorns', I was already sold. First a little info about the author Mary Fan. Mary Fan is a hopeless dreamer, whose mind insists on spinning tales of “what if.” As a music major in college, she told those stories through compositions. Now she tells them through books—a habit she began as soon as she could pick up a pencil. Mary would like to think that there are many other novels in her bag, and hopes to prove that to the world as well. So, what's the novella about? 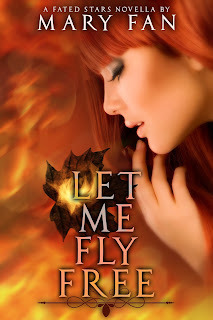 Elaia is a fire nymph who wants to break free from the agreement that keeps her and the rest of her kind out of the human world. When a murderous creature attacks her idyllic homeland, she is willing to risk punishment and her own life to stop it. I'm not usually a big novella reader because I think it's hard to encapsulate a whole world in so few pages. This novella does an incredible job of establishing the world and conflict quickly, without it seeming rushed and confusing. This premise has so much scope for further exploration in the 'Fated Stars' series (which is coming out soon). The mythology of this is really interesting too. A world of unicorns, fairies and nymphs could go wrong and cheesy really quickly but this one completely sucked me in! A lot of this is to do with Mary Fan's writing style, as Elaia's strong voice filtered the world through her perspective. Elaia is a fantastic character and I hope the 'Fated Stars' series will give more opportunities to get to know her. I loved that she wanted to use her powers not just to 'save the day' but for her own enjoyment too. She's an ambiguous, imperfect and at times quite dark character who felt really fresh and original. Last but not least, Elaia has a girlfriend! It's brilliant to see an F/F relationship in a fantasy setting - why doesn't this happen more often? Their relationship is portrayed as very real and flawed and I just loved it! The only part of this that I'm less keen on is the use of adjectives because sometimes the descriptions are a little flowery for my taste. A teaser for the novella 'Tell Me My Name' is included after 'Let Me Fly Free' and this too sounds like it's going to be a great read. This was a fun, unique novella that makes me really want the rest of the series! 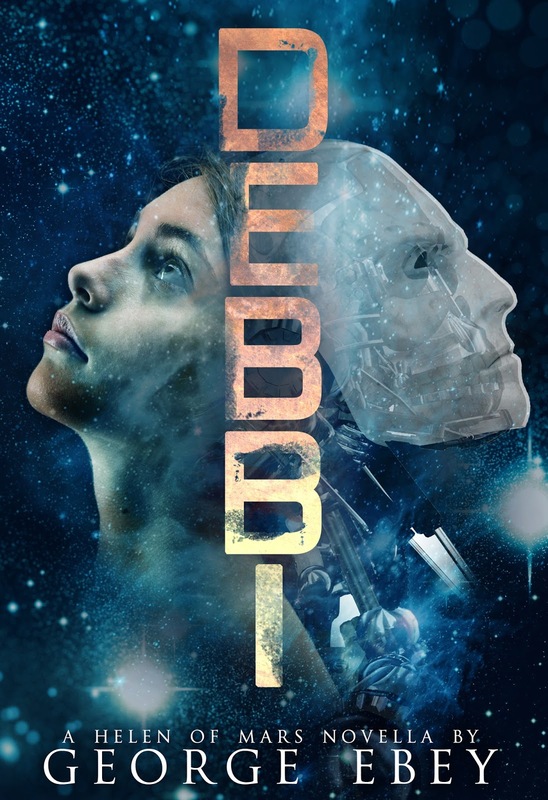 Please check out my blog tomorrow for the next novella in the StoryTime Blog tour - DEBBI by George Ebey. The world of the Great Library series is a particularly horrendous dystopia because people aren't allowed to own books! The Great Library controls the world's knowledge and rebelling against it has severe consequences (particularly the danger of being chased by disturbing automatons). After the events of the last book, Jess Brightwell's only opportunity to work with the library was as part of its army. When a mission goes wrong, Jess and his team have to flee to London to escape the Library. The only problem with that is the army preparing to attack his home town. I'm a huge Rachel Caine fan and the first book in the Great Library series (Ink and Bone) left me desperate for more! 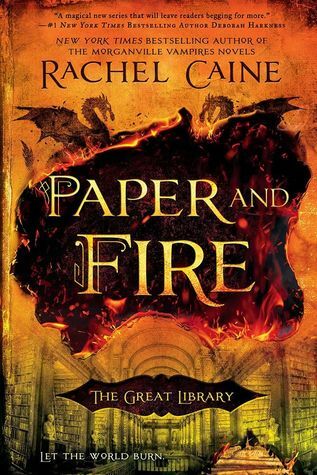 Paper and Fire is another brilliant title full of action, family dynamics, romance and books. I loved how dark the world of this series is. It's so creative for the Library to be the ultimate power. This might sound brilliant in principle until it becomes clear that this is a repressive society where knowledge is locked away. I haven't read many YA books based on alternative histories and this is a unique, well executed idea. Another strength of this series is the characters, as in all of Rachel Caine's books. There are so many from different cultures and backgrounds, yet each feels richly described as the hero of their own story. I also really enjoy the pacing of the book. There's a perfect balance between humour and darkness; family and romance; action and quieter moments. The only times my attention wandered was where a few of the action scenes were on the long side. This is another great book by Rachael Caine and I can't wait for the next title in this series! 'Paper and Fire' is out on 5th July so preorder it now if you haven't already!